UPDATE: TxDOT has reschedule the closure of the I-45 Southbound mainlines at Rayford/Sawdust citing inclement weather. The closure has been postponed to the following weekend, January 25-28. “Forecasted weather conditions this weekend are too wet and cold to lay concrete” said Emily Black, Public Information Officer for the Texas Department of Transportation. Spring, Texas – January 14, 2019: The Texas Department of Transportation will continue replacing the bridge decking on the mainlines of I-45, similar to the construction this passed weekend. However, this time on the Southbound side of I-45. 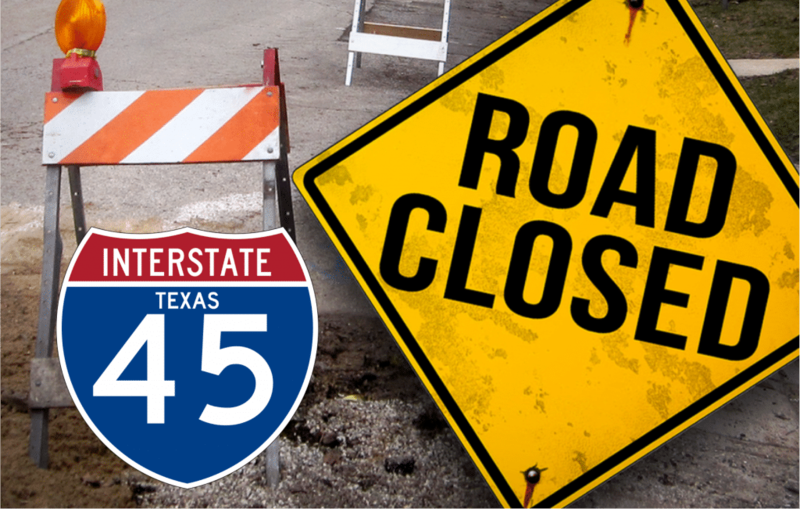 According to TxDOT, the southbound mainlanes of Interstate 45 at Rayford/Sawdust will be completely closed beginning at 9:00 PM on Friday, January 18 and re-opening no later than 5:00 AM on Monday, January 21. The u-turns at the Rayford/Sawdust intersections will also be closed. TXDOT is asking drivers to avoid this area if possible during this closure and continue to be cautious when driving near construction zones. All closures are subject to change due to inclement weather. This past weekend, during the Northbound construction, TxDOT reopened the freeway nearly 36 hours early. Let’s see if TxDOT can score twice in a row!